Smoothing body scrub: It’s thick, it’s foamy, it’s fantastically fresh, it’s satisfyingly stuffed with just the right ratio of scrubbing beads. Scented with our Original Pink™ fragrance combininh fresh bergamot and mandarin, rose, jasmine, peach, strawberry, oakmoss, amber and woody notes. 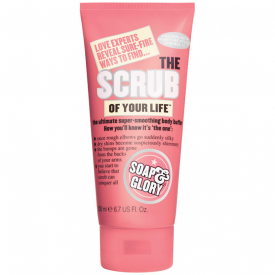 Soap & Glory™ formulas are not tested on animals, only very picky people. Aqua (Water), Sodium Laureth Sulfate, Polyethylene, Glycerin,Cocamidopropyl Betaine, Propylene Glycol,Acrylates/Palmeth-25 Acrylate Copolymer,Synthetic Wax, Sodium Chloride, Parfum (Fragrance), Dipropylene Glycol, Hexyl Cinnamal, Xanthan Gum, Limonene, Butylphenyl Methylpropional, Sodium, Hydroxide, Linalool, Benzyl Salicylate, Tetrasodium EDTA, Disodium Phosphate, Geraniol, Quillaja Saponaria Bark Extract, Methylisothiazolinone, Alpha-Isomethyl Ionone, Citrus Nobilis (Mandarin Orange) Peel Extract, Sorbitol, Citral, Sodium Benzoate, CI 73360 (Red 30), CI 77891 (Titanium Dioxide). Softens and removes dead skin cells. Can be harsh on the skin. This is a great exfoliator and a favourite of mine, however it can be rough on the skin so you need to use it with gentle circular motion. I use this without water if i have alot of dry skin on my face, using gently all over my face until it starts to fall off then using luke warm water to rinse it leaves my whole face feeling brand new and super soft. I then use a moisturiser after to finish. Its great for use before shaving preventing ingrown hairs and it smells devine. I have been using this for the last 5 years now. I like S&G products for their quirky packaging and retro look. This comes in an upside down recyclable plastic tube so easy to use. Easy to use tube. 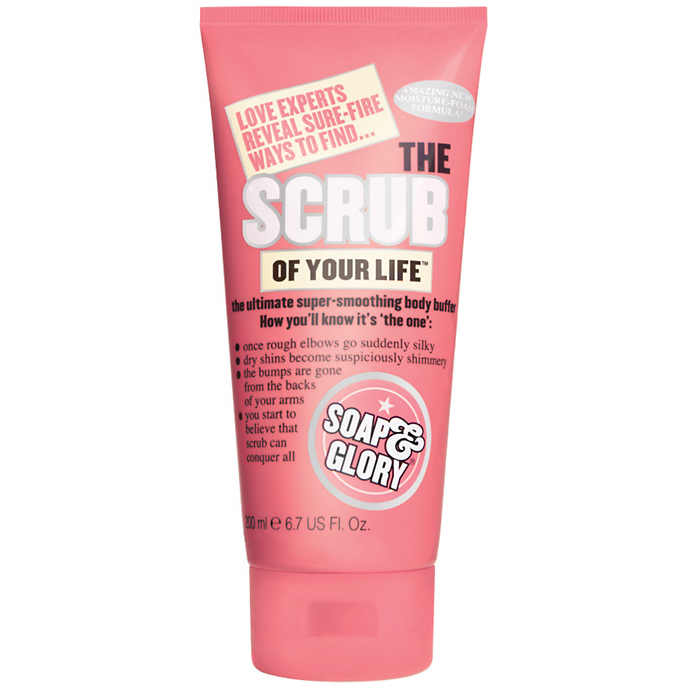 Fairly effective scrub. Not scrubby enough for me. Love it or hate it scent. I like a really harsh scrub and this is a little mild for me. The scent is quite a strong floral (?) and not for me either.